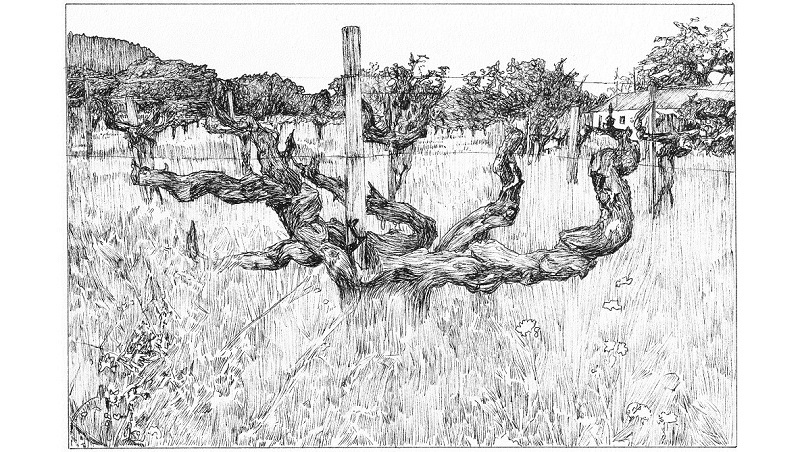 In this excerpt from his book Appellation Napa Valley – Building and Protecting an American Treasure, Richard Mendelson shares his first-hand account of the early days in the creation of the Rutherford and Oakville AVAs and the many untold stories that took place during this important and formative period in Napa Valley’s history. I love the wines of Rutherford Bench, from the heart of the valley, in part because they are among the classics that I drank with the Schoch family when I first arrived: the Cabernet Sauvignons of Inglenook, BV, Heitz Martha’s Vineyard, Mondavi’s To Kalon, and Freemark Abbey’s Bosché. These wines are made from grapes grown on well-drained, gravelly soils on the gentle, east-facing slopes of the Mayacamas Mountains and on the alluvial fans emanating from those mountains. They are balanced and elegant, with excellent weight, a finely chiseled texture, and full flavors. They also age gracefully. In the words of longtime New York Times wine columnist Frank Prial, the Rutherford Bench “boasts one of the more exceptional concentrations of great wine producers in the world.” In his article entitled Wine; Napa’s Bench Marks, Prial wrote “Pauillac has Lafite-Rothschild, Mouton-Rothschild, Latour, Pichon Lalande and Lynch-Bages, to name a few; Vosne-Romanée has Romanée Conti, Romanée-Saint-Vivant, La Tâche and Richebourg; Châteauneuf du-Pape has Beaucastel, Rayas—but you get the point. These are towns or communes that produce very few, if any, common wines…. André Tchelistcheff—or was it Maynard Amerine, no one knows for sure—coined the phrase “Rutherford dust” to describe the sensory quality of these Rutherford Bench wines. There are few references to what André actually meant by that term, but it appears to be those special qualities of cherries, plums, steeliness, fine-grained tannin, and a strong spine. Hugh Johnson, world-renowned British wine expert and author, refers to allspice as a common reference point for Rutherford Bench wines. Johnson did more than just describe Rutherford Bench wines. He also defined the boundaries of the area in his widely read World Atlas of Wines. Johnson placed Rutherford Bench west of Highway 29, south of Grgich-Hills, and north of Dwyer Road. By contrast, other journalists and critics located Rutherford Bench as far south as Yountville and as far north as St. Helena. One thing was clear: Rutherford Bench was being informally defined by wine critics without the input of the people who actually live there or make the wines. Some of the local vintners and growers were bothered by the press definitions. They either disagreed with one or more of the boundaries, or they had a problem with the name—or both. Did the Bench extend from the Mayacamas Mountains to Highway 29, or did it continue to the Napa River? How could an area called Rutherford Bench be as far north as St. Helena and as far south as Yountville? Wouldn’t consumers be confused if the Rutherford name were used to describe parts of other townships? 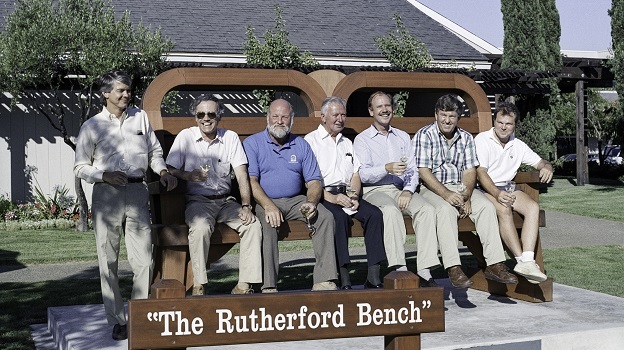 In 1988, a group of prominent vintners and growers resolved to decide for themselves where the Rutherford Bench is truly located and what to call it. They formed an appellation committee and hired me to craft an AVA petition and guide them through the rulemaking process. The committee was a star-studded group. It consisted of wineries BV, Far Niente, Flora Springs, Harlan, Inglenook, Robert Mondavi, and Pine Ridge, and growers Tom and Martha May, Ren Harris, Robin Lail, Bob and Alex Phillips, Barney and Belle Rhodes, and Shari and Garen Staglin. They appointed Pat Garvey as their chairman. Pat had married Julie Komes, whose parents, Jerry and Flora, started Flora Springs in 1978. Pat, along with his brother, ran the family’s extensive vineyard holdings— around 650 acres. Pat is a farmer, not a vintner. He is down-home, friendly, and a hard worker. I don’t think he realized at the outset what a hornet’s nest the Rutherford Bench definition process would become. The committee met for several months over breakfast at the home of Tom and Martha May, surrounded by the vines of the famous Martha’s Vineyard. I brought in experts on local history, soils, climate, geology, and geography. We pored over maps of the entire mid-valley area. We didn’t have a preconceived notion that there would be a single AVA called Rutherford Bench. Our goal was to devise a coherent and comprehensible AVA framework that we could explain to the trade, to consumers, and to ATF. We explored alternative names, alternative boundaries, and even the possibility that there should be multiple AVAs rather than one. In the end, the committee decided that a single Rutherford Bench AVA wouldn’t suffice. The Rutherford name, the members reasoned, should apply only in and around the township of Rutherford. The township of Oakville to the immediate south of Rutherford has—and should preserve—its own identity. We decided to break the press’s Rutherford Bench into two adjoining Benches—the Rutherford Bench and the Oakville Bench. But we also went a step farther and proposed something novel in the American appellation landscape. Each Bench would be a subdivision of a larger community AVA that stretches across the valley from the toe-slopes of the Mayacamas Mountains to the toe-slopes of the Vaca Mountains. 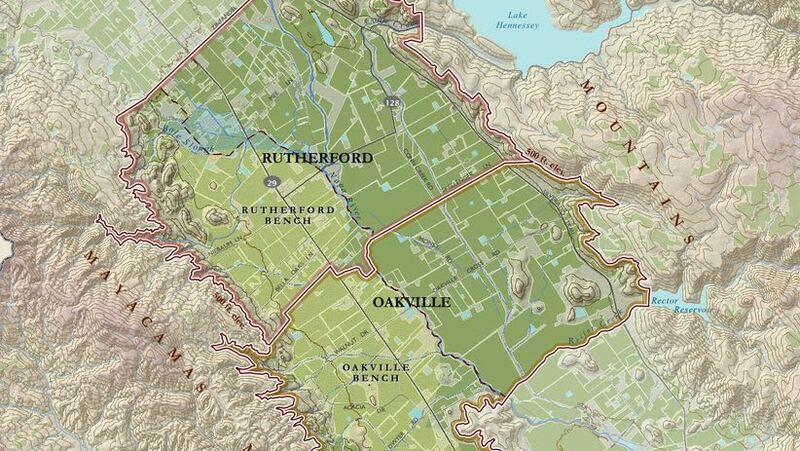 Rutherford Bench would be situated inside the larger Rutherford AVA, and Oakville Bench would be inside the Oakville AVA, each running down to the Napa River. Instead of one Rutherford Bench, the committee petitioned in March of 1989 to establish four separate AVAs at the same time: Rutherford Bench, Rutherford, Oakville Bench, and Oakville. In terms of name recognition, the larger Rutherford and Oakville AVAs respect their specific community identifications and the long wine histories of each place. Geographically, they capture the gradual differences in elevation and temperature as one heads upvalley. The two Bench AVAs have more geographical specificity, each following the alluvial fans, known as the Rutherford Fan Complex and the Oakville Rutherford Fan Complex, that flow out of the Mayacamas Range down to the Napa River. These alluvial fans form deep, gravelly soils with excellent drainage and an easterly exposure, perfect for dry farming. I recall Debbie Elliott-Fisk digging soil pits over 18 feet deep on those alluvial fans, finding grapevine roots driving down deeper still, as they searched for water and nutrients. I perceived two distinct advantages of filing four AVA petitions, rather than one. First, ATF would not be able to change any common boundary without carefully considering the impact on the AVAs on both sides of that boundary. For example, if a landowner opposed the southern boundary of Rutherford and wanted to move it farther south, ATF would have to consider the impact on the Oakville AVA at the same time. I thought this would make ATF officials think twice about changing a boundary willy-nilly at the request of any landowner. But that was wishful thinking. This excerpt is published with permission of the author. To learn more about how the Rutherford and Oakville AVAs were ultimately drawn, be sure to read Richard Mendelson’s recently published book Appellation Napa Valley – Building and Protecting an American Treasure. For a limited time Vinous subscribers can take advantage an exclusive offer of 40% off both the First Edition and Limited Edition (500 copies printed) of Appellation Napa Valley – Building and Protecting an American Treasure by using the coupon vinous16, at checkout, when purchasing the book through the publisher’s website. Offer expires September 30, 2016. Orders will be fulfilled directly from the publisher. Please direct any questions about your order or Appellation Napa Valley – Building and Protecting an American Treasure to info@appellationnapavalley.com.